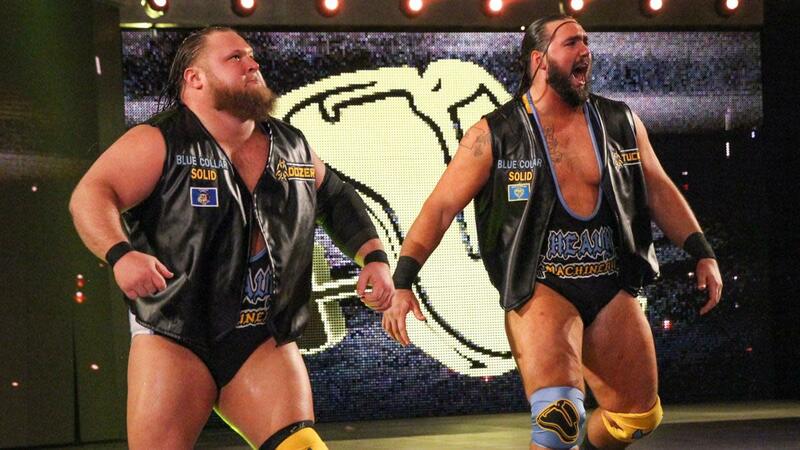 The new NXT call-ups continued to cement themselves on the main roster during tonight's Raw. Lacey Evans came out following a brawl between the Raw participants in this year’s women’s Royal Rumble match. After Alexa Bliss, who was hosting her Moment of Bliss talk show, announced that she would be entering the Rumble Evans appeared and announced she was entering. She also called Bliss a “sawed off, girly little runt”. Meanwhile, Heavy Machinery made their in-ring debut taking out the Ascension in under three minutes with their Compactor finish. The match highlighted Otis Dozivich, who did some comedy spots including the worm. The two other new call-ups were also seen during tonight’s show. Nikki Cross was involved with the women’s Royal Rumble brawl and will be a part of Sunday’s match as well. EC3 was briefly seen posing in a mirror as Dana Brooke asked him questions about his physique. Lars Sullivan, who was also set to be called up, wasn’t seen on tonight’s episode of Raw.